As you know, the Two Blondes are not adverse to sleeping out on Dartmoor. 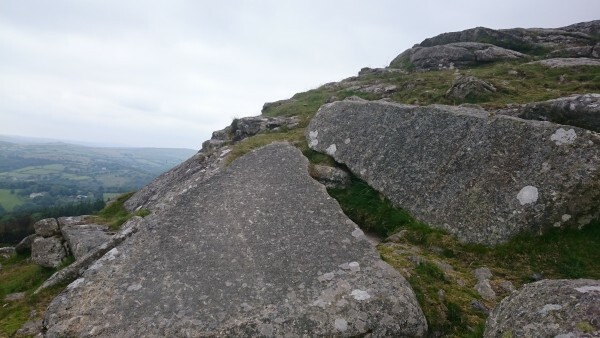 We don’t usually however, fall asleep in the middle of a day-time Dartmoor walk. But that is exactly what happened to me on a recent summer perambulation. 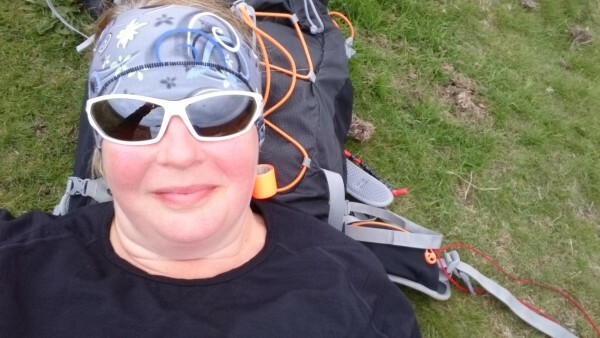 One minute I was lying back on my rucksack, happily digesting my lunch (minimal sandwich and flask of tea) and listening to a pair of ladies chattering; and the next I was waking up after twenty minutes of most acceptable, post prandial snoozing. B2 two minutes prior to snooze! Circa 1960 (my age, about 19); I am dozing on a hot sunny afternoon on a bank of the Upper Wharfe after several lunchtime pints in the Buck Inn at Buckden. Ian and Tony are similarly arrayed. We have spent the morning trout fishing, but intentions of continuing on the river have been drowned after our sojourn in the pub. Out of the corner of my eye I see an elderly farmer type who has approached and stopped to survey the scene. Despite the sunshine he wears a greasy, work-used three piece tweed suit, and a flat cap moulded to his head, and he has a bucket over his arm; he sums up to himself, “Ee! It must be t’ frseh air ‘as dun it”. I wonder if anyone noticed me snoozing!